So tonights craft almost didn’t happen. 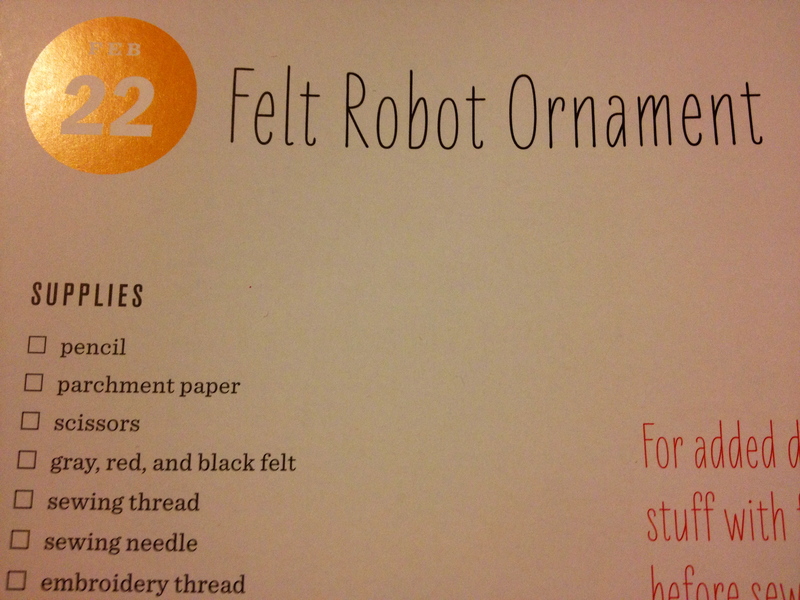 Mainly because I just wanted to knit. 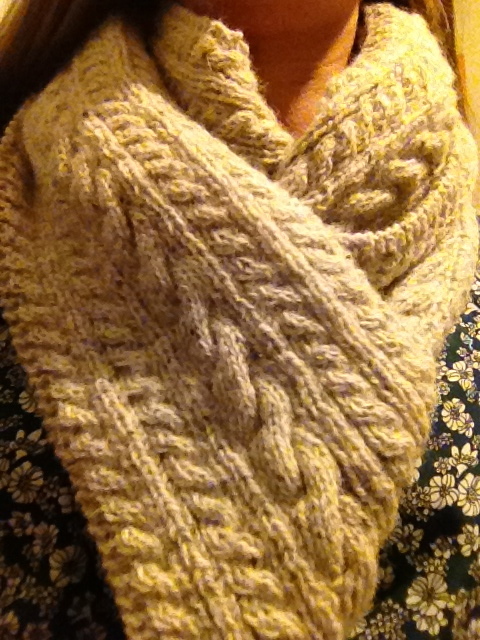 And I finished Alysha’s scarf. 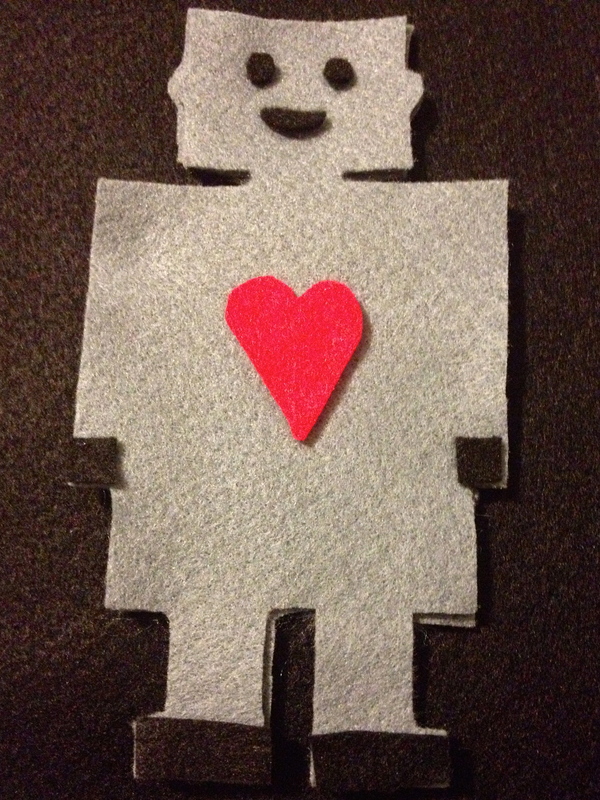 Regarding the assigned craft, I started but did not finish, another felt robot. This one is larger and won’t be stuffed.